There's eight figures in there. The second from the left is definitely this fellow we saw earlier today. It's blurry but, hey, it's something to chew on until the gang are officially revealed. 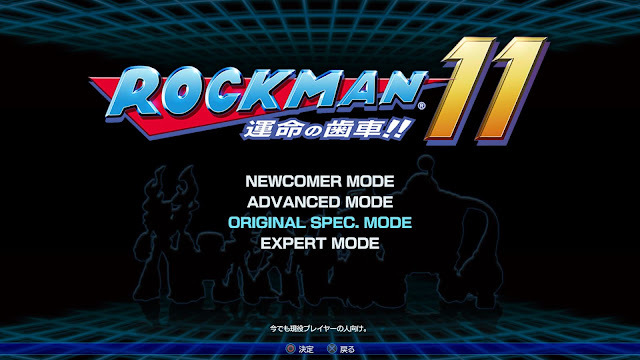 Mega Man 11 is due in the later half of 2018 – it might be a wait! Japanese title has a subtitle. I read it as "Gear of Doom!!" It appears the gears in this game are going to play a major role in the story. it's more like "gears of fate"
This is such a great day! I can only count 6 maybe 7 but then again the area behind the options and slightly to the right of it is a little jumbled. i count 8 of them. 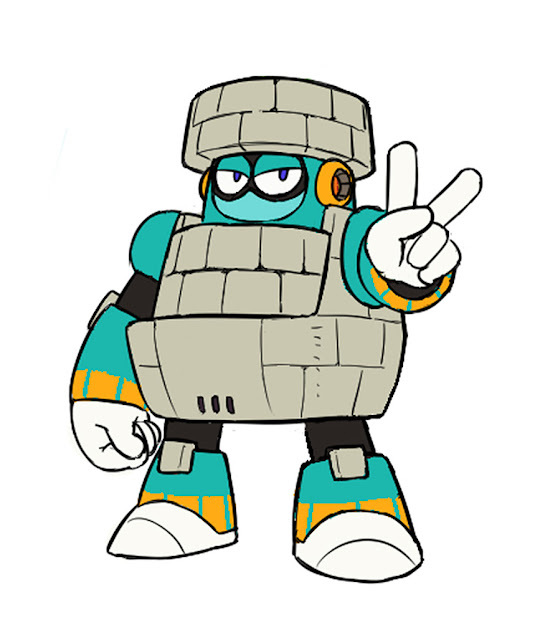 Definitely looks a newer artstyle with the new robot masters as well. The stone one is alright (based on the one concept art we have of him at least) but it will be exciting to see all 8. I am so getting it. 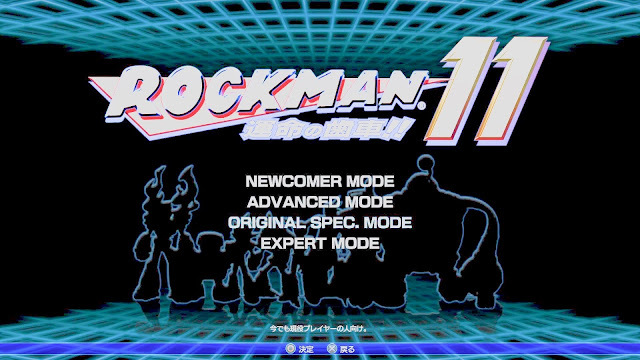 A Japan version and Europe version. Can't wait! Hope it'll be good. I wonder what the story will be. What nauseating euphemisms for "unskilled" or "can't handle difficulty". How p*$$*fied are modern gamers where they can't even bear the term "easy mode"? Some games actually used to ridicule the player for playing on easy or using cheat codes. Now they're just coddling their fragile egos. Hey, nothing wrong if one don't want to play something difficult. not everyne play video games for the same reason and in the same way. unskilled? well someone who would be playing for the first time (a newcomer or begginer) barely have any way to be skilled. can't handle difficulty? and why would they have to? Tt's a entertainement. I play video games partly for the challenge, but some people just play for other aspect of the game, or to blow of steam after a tiring day (so casual), those are just the terms, not euphemism. same way "expert" could just as well be "hard mode". that does'nt stop neither me or you from playing expert mode it we want to. Cheat codes are another thing, though. Also it is'nt really "used to" you still have games doing that. 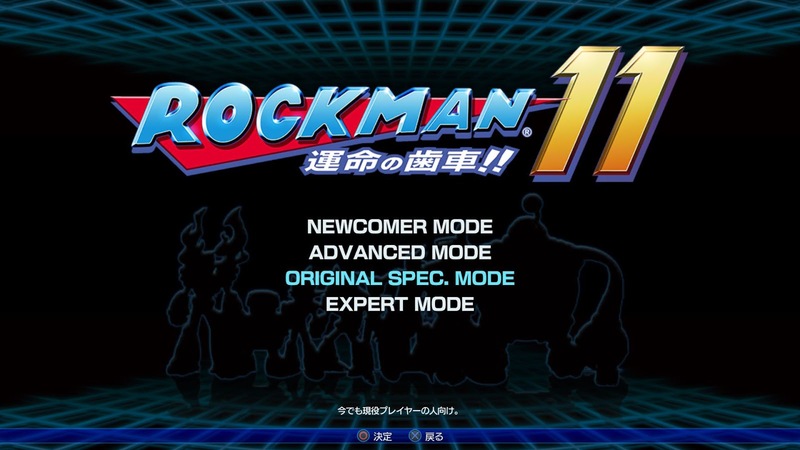 and even game that allow a beginer mode or whatever they will call it, tend to have some things accessible only when playing hard mode. Seems to me the only one here with a fragile ego is you, friend Anonymous. "Look at me! I'm begging for attention!" Go back to posting on /v/, jerkwad. Things didn't changed during Mega Man 3, nor Mega Man 9. Probably they will never change. That was only because Mega Man saved Wily's life. If Mega hadn't taken Wily to the hospital, he'd have died from whatever disease he'd gotten up in the space station. Even Wily isn't a total monster; he figured he'd at least repay Mega by undoing the damage he'd done, and then wait until later to start causing a ruckus again. Not an 8-bit Mega Man game? That's disappointing. Wonder if this game will finally establish a bridge to the X Series? A guy can dream,can't he? well, they have to keep any potential bridge tiny and subtle. so that they can keep making Classic games if need be. i'm not expressing myself very well... just, if they make a game with element that place it to close to something that look like a "end" of the serie, they will not be able to continue. For exemple, we can assume Willy put Zero with the Zero virus in the capsule at some point where he had renounced to the idea of beating Light and MegaMan directly. I am seriously tempted to make a MST3K reference, but I won't.